Right on schedule, 2K Sports has released the fall update for NBA 2K17 on PC, PS4, as well as Xbox One following the previously announced short server maintenance. As for download sizes, update 1.06 is available on Xbox One and it’s 2.6GB. PlayStation 4 players will need to download a bigger file, at 7.4GB. 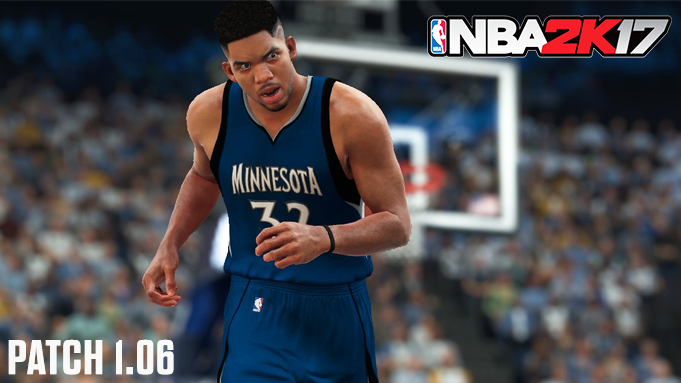 2K has also just released the massive list of changes and fixes. You can see the complete patch notes below. NOTE: All patch fixes will work in your existing game mode saves unless noted otherwise.